Noctua has always been known for a professional look and a brown/beige color scheme. Rather than jump on the garish RGB LED craze, they decided to sharpen there aesthetic design by a more elegant color scheme on accessories. 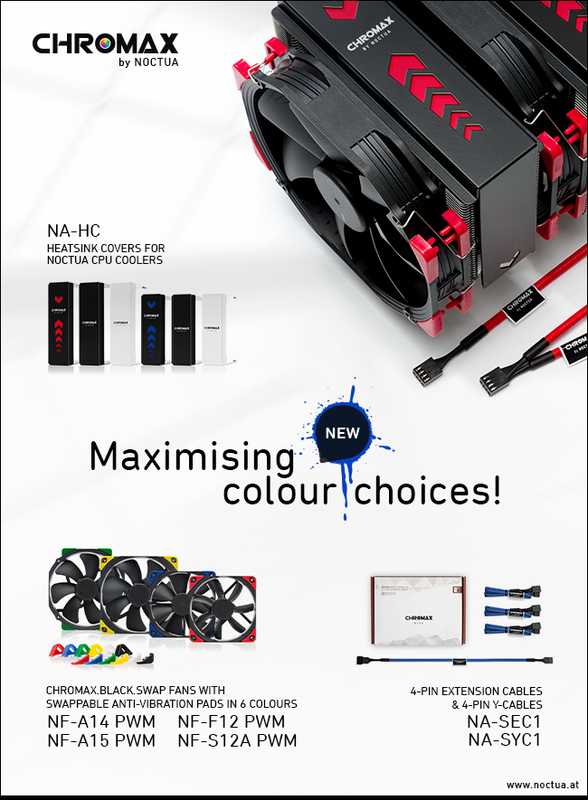 The expansion of Chromax on cables and heatsink covers is a fantastic idea that will certainly help builders beautify their builds in new ways. Check out the full press release below!